When it first got announced, I liked what I saw in terms of the general aesthetic of the game — the same thing I liked about Splatoon at first — but didn’t think it was a game I’d really want to play, as I just don’t tend to play fighting games a lot. But I kept liking what I saw, the fun character designs, and the graphics that surrounded everything. 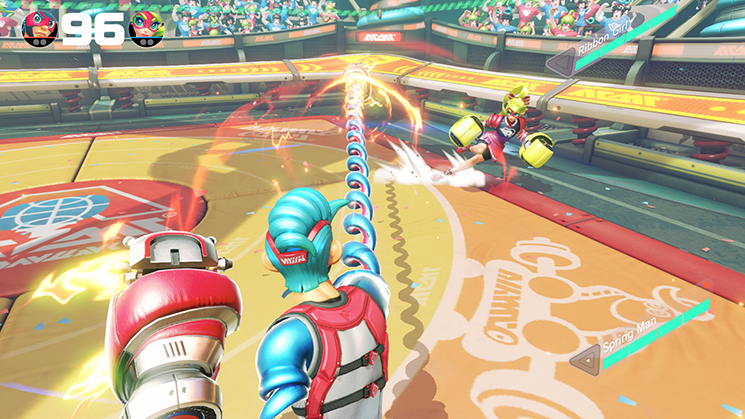 Then, when they did the first Testpunch, I decided to take it for a spin, and it just took 15 minutes for me to decide that I was going to buy it upon release. More than a fighting game, it immediately reminded of brawler-type games like Power Stone — and I guess the colorful character designs contribute to that comparison as well. But yeah, it’s fun to play, I don’t feel like I need to memorize a bunch of combos to be able to win fights, and I like the variety of modes, and the way the online party mode works. And it’s been a hit at work too, playing with friends on the Switch.